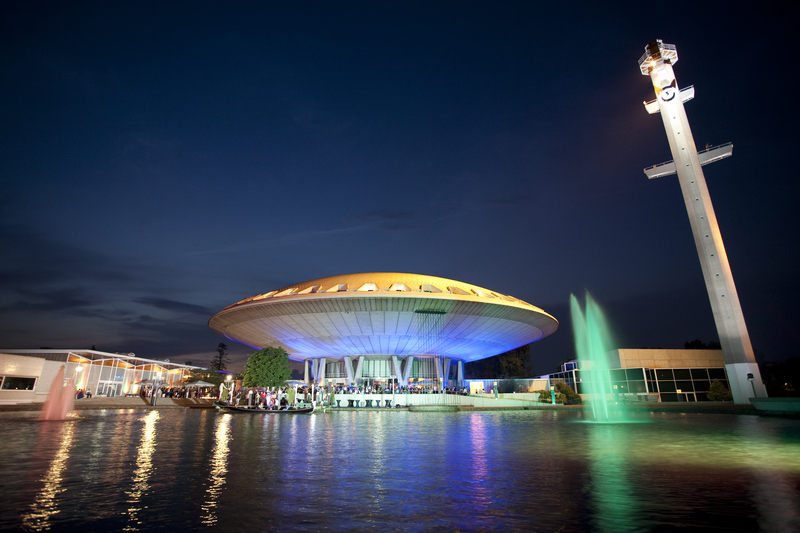 The organizing committee has selected the Evoluon as the venue for this years European Data Forum. The Evoluon was originally build in 1966 as a science museum by Philips. The building is unique due to its very futuristic design, resembling a landed flying saucer. Its concrete dome is 77 metres (253 ft) in diameter and is held in place by 169 kilometres (105 mi) of reinforcing steel bars. In the 1960s and 70s the Evoluon attracted many visitors, since its interactive exhibitions were a new and unique concept in the Netherlands at that time. But when competing science museums opened in other cities, the number of visitors began to decline. After several years of losing money, the original museum closed down in 1989 and the Evoluon was converted into a conference centre, opening in 1998. The Evoluon is easily reachable by public transport, and offers free parking and Wifi.